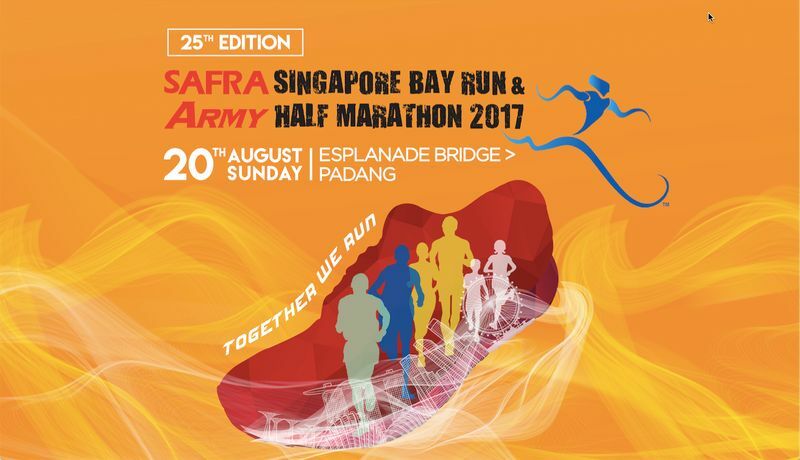 The 25th edition of the SAFRA Singapore Bay Run & Army Half Marathon (SSBR & AHM) will be held. Participants can expect a slew of initiatives at this year’s event to celebrate its Silver Jubilee and commemorate 50 Years of National Service (NS50). A new NS50 Team Run has been introduced to encourage teams of 10 past and present Singapore Armed Forces (SAF) NSmen to run 5km together and clock a total distance of 50km to mark this significant occasion. The event will also continue to feature its four established run categories—the 21km Army Half Marathon, SAFRA 10km Race, SAFRA 5km Fun Run and 800m Family Challenge. SAF NSmen and national servicemen’s family members will continue to enjoy special rates across these categories to recognise them for their contributions to Singapore’s defence and support for NS respectively. Flagging off at the Esplanade Bridge, the run will end at the Padang, where there will be a carnival for a fun day out for the whole family. Registration for the event is open at www.safra.sg/ssbr_ahm.